We are the FunKy, FuN embroidery people! Situated on the Natal North Coast, and founded in 2011, StitchKraft has been crafting various embroidered products and offering a customised embroidered product at an affordable price. Blending imagination, comfort and style with vibrant colour and exceptional quality, the range has expanded and continues to evolve. All of our products are made with great care and with the finest quality fabrics. At StitchKraft quality is an absolute obsession, so you can rest assured – the items you invest in will remain in use for years to come. 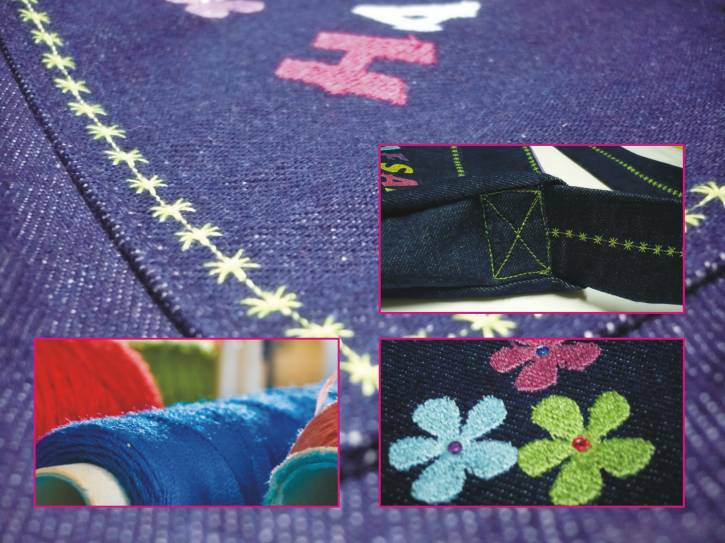 We specialise in custom embroidery on aprons, juzdaans, baby blankets, bibs, Quran covers & pencil cases. Give us a try for your next fun embroidered item. "This was a perfect gift! I love all the color options and how easy the seller was to work with to meet my delivery deadline. I highly recommend them!" "This is absolutely beautiful on line and even more so in person! I love it! Very well made and super cute... not to mention great quality!"